This gorgeous mobile located in a 55+ park, which allows 1 small pet, is conveniently located close to shopping, public transit and was built in 2018. 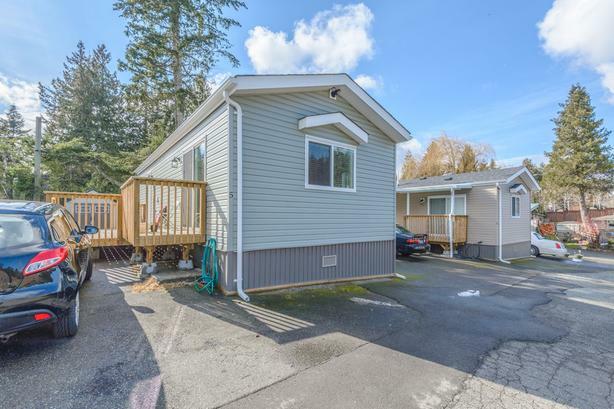 With little to no maintenance, this home is move in ready with a moduline warranty, open floor plan, vaulted living room ceilings, maple laminate flooring, oak cabinetry, pantry & two good size bedrooms with a large bathroom with full sized tub. With a beautiful sun deck, 95% high efficiency gas furnace, 420 lb propane tank & new shed with low maintenance yard, you won't want to miss this! Measurements are approximate, please verify if important.